Michelle J. Walker is the Executive Director of Generation Next. Drawn to its mission to “harnesses the community’s knowledge, expertise and actions to ensure every child can thrive,” Ms. Walker took the helm of Generation Next following more than a decade-long career in urban school district leadership in Saint Paul, MN and Washington, D.C.
As Chief Executive Officer of Saint Paul Public Schools (SPPS), Ms. Walker served as second-in-command to the superintendent and worked closely with the district’s elected Board of Education. She played a key role in the revolutionary redesign of the district as it addressed equitable education in the face of race and poverty issues. Ms. Walker’s leadership responsibility with SPPS began as Chief Accountability Officer and then Chief of Staff, where she supervised staff in Research, Evaluation and Assessment; School and Program Improvement, Title I/Federal Programs; Strategic Planning and Policy; Legislative Affairs; Equity; Human Resources;Finance; Technology Services; and Communications, Marketing and Development. Prior to joining the SPPS executive team, Ms. Walker served as Chief of Strategic Planning and Policy for the District of Columbia Public Schools (DCPS) overseeing policy research and analysis, strategic planning initiatives, community partnerships and intergovernmental relations for the then 50,000 student district. At DCPS, Ms. Walker successfully managed the development of the district’s Master Education Plan,a comprehensive strategic plan to reform the system’s academic and business operations. Ms. Walker served in various advisory positions within the District of Columbia Government including Senior Advisor for Education to Mayor Anthony A. Williams and Senior Budget Analyst and later Branch Chief for the Education and Employment Branch in the District’s Office of Budget and Planning. In these roles she advised key policymakers regarding programmatic, policy and fiscal issues impacting the District’s public education system. She was instrumental in the development of policies related to school governance, expanded school choice, charter school facilities, school consolidation and other education reform initiatives. In addition to her work in Saint Paul and the District of Columbia, Ms. Walker has also held diverse positions in educational administration and youth development in New York City. Currently a doctoral candidate in the Urban Education Leaders Program at Teachers College, Columbia University, Ms. Walker holds a double Bachelor of Arts degree in Government and Africana Studies from Cornell University (NY) and Master of Arts (Educational Administration) and Master of Education (Educational Leadership Studies) degrees from Teachers College, Columbia University (NY). 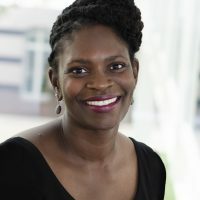 Ms. Walker serves on various local taskforces and committees and is an active member of the Board of Directors of the following organizations: Northside Achievement Zone (Minneapolis), Common Bond Communities, and Montessori Center of Minnesota Board of Directors (Saint Paul), where she currently serves as chair. Joe came on board as the Managing Director of Generation Next in April 2018. Joe’s previous role was as the assistant director of research, evaluation, and assessment for Saint Paul Public Schools, and he brings a wealth of experience in the public education and nonprofit sectors. 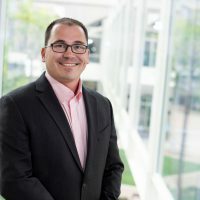 Joe has been familiar with the work of Generation Next over the past few years, serving as an active member of the Social-Emotional Learning Committee, the Data Committee, and has participated in several provider networks. 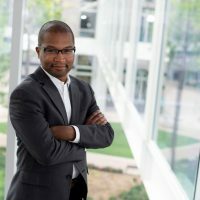 As the Director of Partnerships, Jeremiah Ellis leverages community assets to improve education alignment and outcomes including recent work with local education philanthropy data to enhance the collective impact potential of Minneapolis and Saint Paul area foundations. Jeremiah has worked across the local public and non-profit sectors for the last decade. He studied Strategic Management at Saint Catherine University School of Business and Professional Studies and Theology at Saint Mary’s University in Texas. Ellis is also a Roy Wilkins Community Fellow, promoting solutions to racial and ethnic inequality with the Humphrey School of Public Affairs. Molly Barrett is the new marketing & communications manager for Generation Next. Molly has worked in marketing and communications for the past five years, beginning her career at IntrinXec Management Inc., where she served as the editor and publications manager for two monthly trade magazines. Molly then moved on to the Boys & Girls Clubs of the Twin Cities, where she has worked as the communications and marketing coordinator for the past two and a half years. 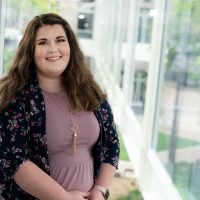 While working for the Boys & Girls Clubs, Molly was involved in many aspects of the Clubs, including program planning and implementation, and website and social media development. Molly also served as a literacy teacher for K-3 youth as part of the Boys & Girls Clubs Literacy Program. Molly got married to her husband Jared in October 2017, and they live in South Minneapolis with their bulldog Pearl. Molly enjoys reading, writing, going to bulldog meetups with her husband, traveling, and spending time with friends and family. Christy was brought on board in December of 2012 to launch Generation Next. She has more than 20 years of experience in corporate and philanthropic sectors, including the The Saint Paul and Minnesota Community Foundations where she served as assistant to the chief of staff, managing monthly all-staff meetings, board of director reports and as philanthropic services assistant to the vice president of philanthropic services as well as providing support and planning assistance to the executive director of GiveMN.